Grief is often portrayed as a hydra, a multi-headed beast of pain and loss that defies any attempt to get a true grasp on it. While humanity may over-complicate many things, this depiction of an escapable part of life, the mourning of who or what we have lost and the emotionally-scouring existential crater that accompanies it, is bang on. Grief cannot be easily described, contained or dealt with, a fathomless ocean that defies our ability to easily categorise it, and process and deal with it, and this has never been more clear than in Meg McKinlay’s beautifully-affecting novel Catch a Falling Star. Set in 1979 at the time of Skylab falling to star, the novel is ostensibly the story of one town in remote southwestern Western Australia getting ready for the possible cataclysmic arrival of NASA’s ailing space station. While educated predictions are being made about where it will make landfall (if that will happen at all), no one is entirely sure about where it will hit, and so everyone is in a paroxysm of speculative fervour, reading the newspapers, watching the TV bulletins and filling in the blanks with the kind of fevered speculation that accompanied major events in the pre-internet age. “She leads the class in a round of applause. I should clap too but I can’t get my hands to move. All I can think about is Skylab up there, circling, falling. And while Jeremy strides back to his seat, I wonder what it would be like to be someone who thinks you actually have control over things. Among their number is Frankie Avery – not short for Francene thank you, as she is at pains to point out – a 12-year-old girl who was once into astronomy with an ardent enthusiasm, but who know struggles to know what it is she really likes or what she wants to pursue in life. You might think twelve is far too young an age to be consumed with such thoughts, but every Friday, Frankie’s teacher Mrs Easton asks two students to talk about the careers they would like to follow and why. For pretty much everyone else, it’s a no-brainer, especially over-achiever and star pupil of the class, Frankie’s best friend Kat, but for Frankie, caught in lingering grief, pain and loss, though pushed way below the surface by time, circumstance and the unwitting words and actions of her mother, it’s a threat of some kind, an accusing, pointing finger that reminds she is rudderless and lost. Of course, she’s twelve and so all she knows is that these feelings are orbiting her constantly, lurking at the edges of what should be a carefree age (it is for Kat to Frankie’s great envy). She isn’t sure though what to do about them and with younger almost-eight-year-old brother “Newt” always singlemindedly rushing about in pursuit of some scientific project or another – in this case an understandable obsession with Skylab, antennas and the family’s old, overgrown astronomy shack up on the hill – and her mother constantly working double shifts as a nurse at the hospital, it is not like she’s going to get any answers or guidance any time soon. 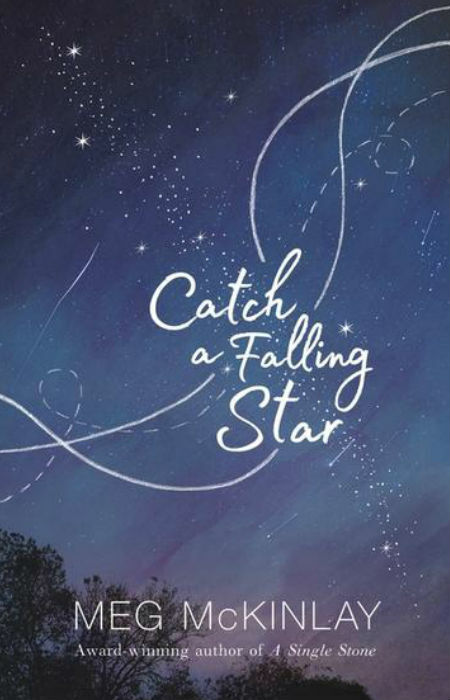 A touching, heartfelt and wholly grounded and very deal story of dealing with grief while you’re growing up, Catch a Falling Star is a gem of a book. Technically aimed at the tween/YA market I suspect, it is a rich, substantial story told with uncomplicated but meaningful prose, a story that will resonate with anyone who has ever gone through the nightmare landscape of grief and loss. At least, as adults, people have a fighting chance of finding their way out the other side, such as it is – let’s be honest, you never really emerge, and can only really make accommodation with your new loss-laced normal – but kids, even emotionally-aware, socially intuitive kids like Frankie, whose guardianship of her brother, who may or may not be on the autism spectrum, defines her and her friendships, don’t really stand a chance. All she hears is that kids “bounce back” from loss, like they’re emotional rubber balls, and so Frankie does her best, unwittingly, to live that out, lest she disappoint or let anyone, especially her world-weary but trying her best, mother down. “Over the hill behind the Shack, a bright orange ball is streaking across the sky, trailing sparks. And just as my sleep-blurred brain starts to focus – to know what this is because what else could it be? – I see the small shape running up the slope. Catch a Falling Star is funny, charming, sweet and brutally honest in its own wonderfully-well written way, a novel that lays bare all kinds of truths about life, love and loss, growing up and the messy but comforting togetherness of family (even the damaged ones) in a way that is nuanced, real and readily-identifiable with. 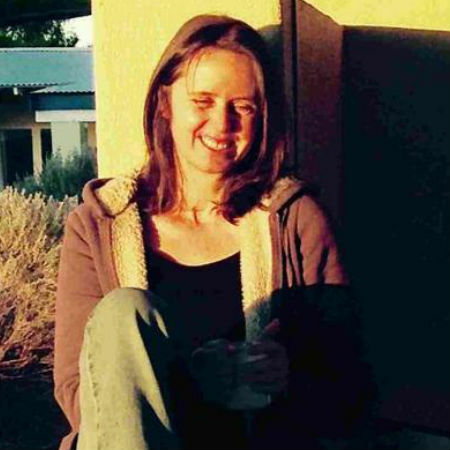 At no point does McKinlay flip any kind of melodramatic, overwrought lever; she quietly and richly lets Frankie’s story tell itself, a story replete with the kind of home truth and self-reflective honesty you don’t expect of a 12-year-old but which is pitch-perfectly expressed every step of its engagingly-told way. This is a story which is not so much coming of age as it is coming to grips with the way you, you family and the world really is, about articulating those truths when the veneer of being all right will no longer stay in place, and the healing that comes when you stop pretending everyone is perfectly fine and okay. Because it isn’t, not when the sort of stuff happens that has happened to Frankie, easily one of the most enjoyable protagonists I’ve had the pleasure to spend time with, and McKinlay never overplays her hand but nor she she sugarcoat it, allowing us a glimpse, not just into a specific, pivotal moment in time, but into the timeless universality of loss and grief, and how it shapes us all in one life-altering way or another.